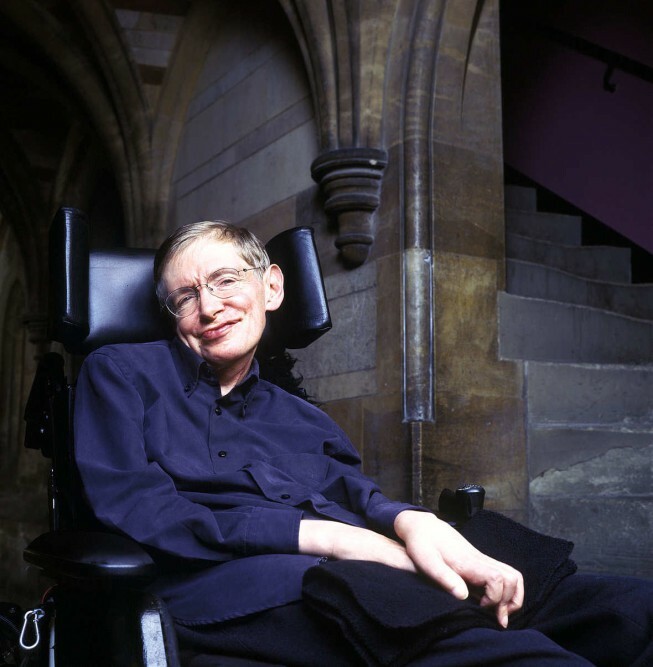 Stephen Hawking…we will miss YOU! 14th March 2018 will be from now on regarded as a day of loss for the world of science. That’s because of Stephen Hawking’s death. This English astrophysicist, cosmologist and theoretical physicist from University of Cambridge contributed to shaping of modern science. His research, centred around general theory of relativity and quantum mechanics, have become phenomenon and have helped to understand the universe better. For his achievements he received many awards and honours. During most of his life he had to live with amyotrophic lateral sclerosis (ALS). Due to the fact of progressing disease he was forced to use a wheelchair for motion and speech synthesiser to communicate. He made many cameos in popular media (for instance: in an episode of „Star Trek: The Next Generation”, on „The Simpsons”, at the Monty Python Live (Mostly) in 2014). Stephen Hawking died peacefully in his home in Cambridge. He died at the age of 76. As a matter of fact, his date of birth and death are very symbolic. He was born on the 300th anniversary of Galileo’s death (8th January 1942) and died on the 139th anniversary of Albert Einstein’s birth. News prepared by Kacper Górak from IIIB. Lucky Lublin for our drama society ! March 17 was a special day for our Group Under the Hanging Cat. It was the 20th edition of Shakespeare’s Festival in Lublin. This contest is a kind of tradition for GUHC’s members and every year they do their best to achieve as much as possible. Actors and actresses from our drama society performed two spectacles: “The Gravediggers” and “Temptation. Temptations”. The first one was based on “Hamlet”. It showed the famous scene from the fifth act. However, the gravediggers were kids and the cemetery was turned into a sandpit. The allegoric character of the performance was impressive and stuck in audience’s mind. The second spectacle entitled “Temptation. Temptations.” was dominated by women. They were disguised as witches. Their emotions were the reflection of emotions in Macbeths’s head. Besides our Group, there were drama societies from all over Poland. The competition was tough, but our representatives moved on to higher things of their skills and cloud the others. Not only did GUHC win the Grand Prix, but also Piotr Woldan was given an honourable award. The main prize in the contest is a trip to London and tickets for plays in The Globe Theatre. This year it is Julia Krysiak who is going to England. Congratulations to Beata Gendek – Barhoumi, who prepared scripts and our players. FANCY READING THE POEMS WRITTEN BY ONE OF OUR MOST TALENTED STUDENTS? WHY NOT!! !